That time to eat chocolate bunnies and don’t feel bad about it, it’s almost here! Easter 2018 is here in 3 days, and you don’t have any ideas for your dining room decor? Don’t worry, that’s our job! 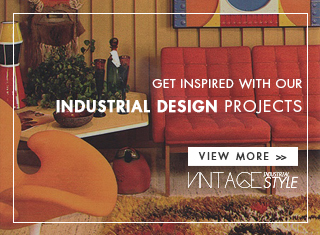 Today we are going to give you some ideas on how to transform your dining room into de perfect vintage industrial style place for the holiday! Go grab your notebook and keep up with us! 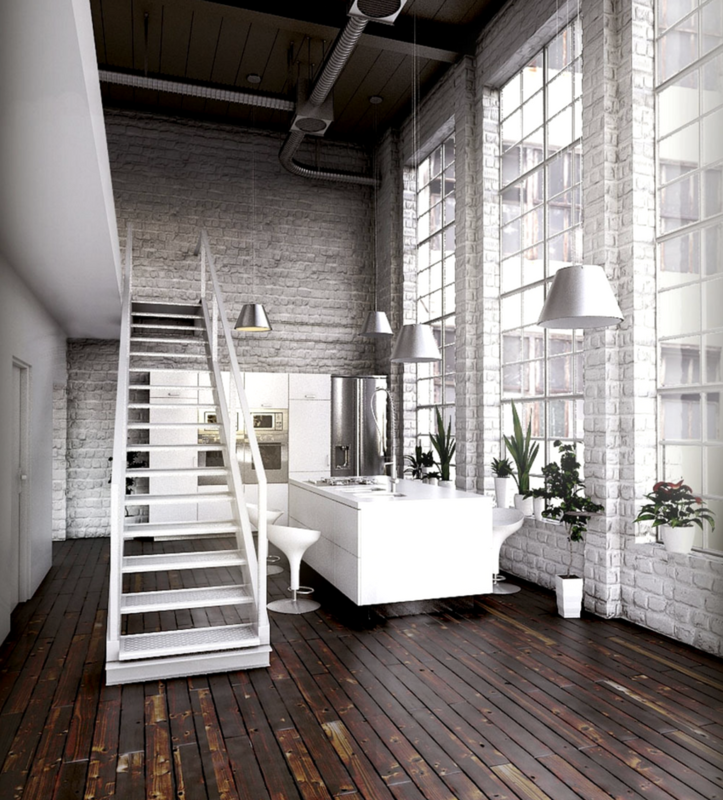 The crisp, white walls make a great backdrop for this stylish space, changing the look of your entire home decor. The white, sleek chairs pulled together with the reclaimed wood and steel table and chairs accentuated by a vintage skylight bring a contemporary feel to this industrial style dining room. 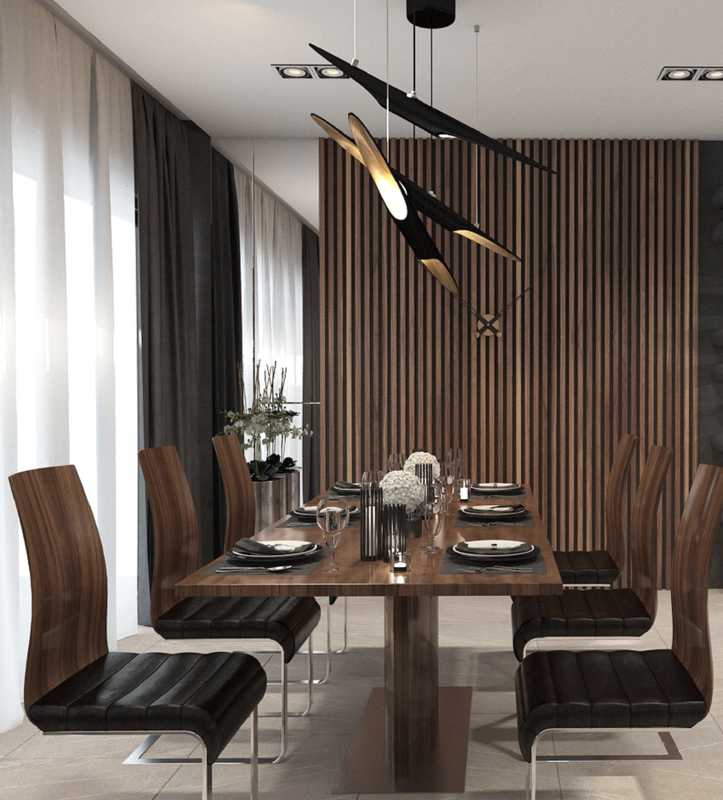 The contrast in dark wood and white walls is resonated to the dining furniture giving a sleek yet soothing vibe. Lighting plays a vital role no matter what the style of your dining room is, but if you are opting for styles such as Asian, Mediterranean or industrial, then it becomes twice as important! While traditionally large metallic pendants inspired by the past are the preferred choice (and they do look absolutely perfect in a grand dining room), there are many contemporary alternatives that work equally well. 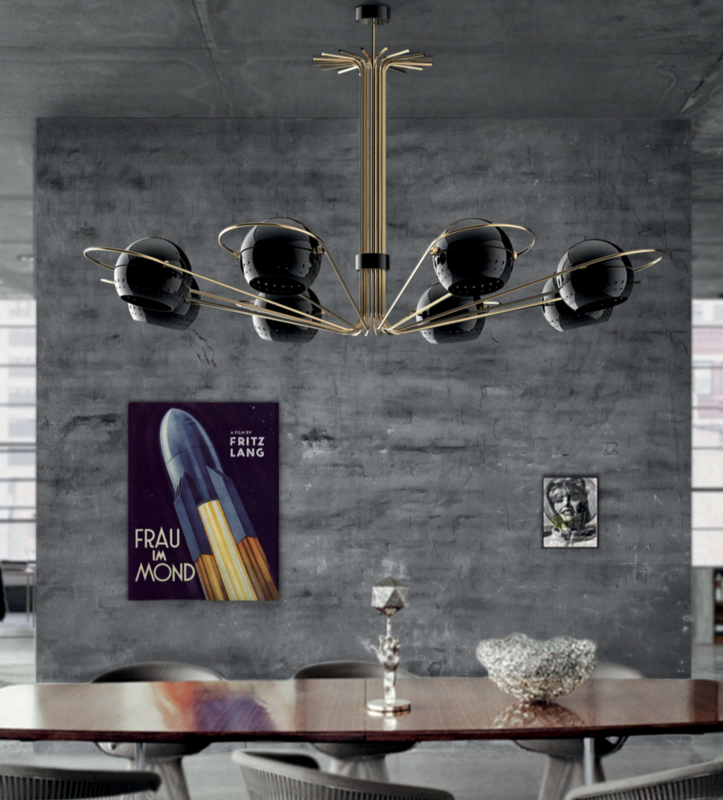 In fact, you can use your lighting design to usher in a hint of chic, contemporary charm or mid-century modern magic in a dining room that is dominated by an industrial vibe. This creates a subtle, underrated fusion of styles while adding to the overall appeal of the space. 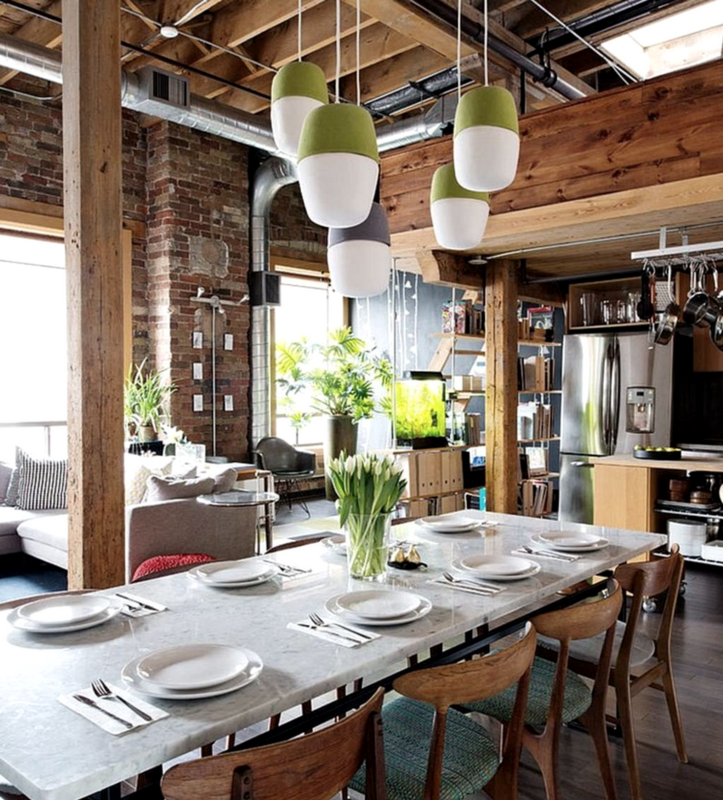 Industrial style dining rooms allow you to experiment with decor and accessories far more freely than almost any other style. Giving this dining room a surprising twist with additions such as daring wall art, oversized pendant lights or even a vintage style bike or two can turn it into an absolute showstopper. A custom-crafted dining table, an eclectic blend of iconic chairs, a splash of unexpected color or even a cloak of natural greenery can completely alter the atmosphere of the dining room and turn a mundane setting into a truly captivating backdrop. Make sure, though, that these additions do not take over and disturb the overall style of the space. To replicate a style that you admire or love, it is always important to understand its origins and of course, the basic components that shape it. 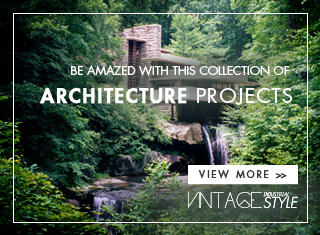 In the case of the industrial style, it was a necessity and a utilitarian approach that were its driving forces. Early industrial revolution-era settings that gave birth to the style did not worry about the visual appeal of the place. It was always about working with what was on offer. This is precisely why you see a fabulous blend of contrasting textures in industrial spaces, which is considered ‘exciting and cool’ by modern designers. Actually, unique vintage pieces are trending nowadays. 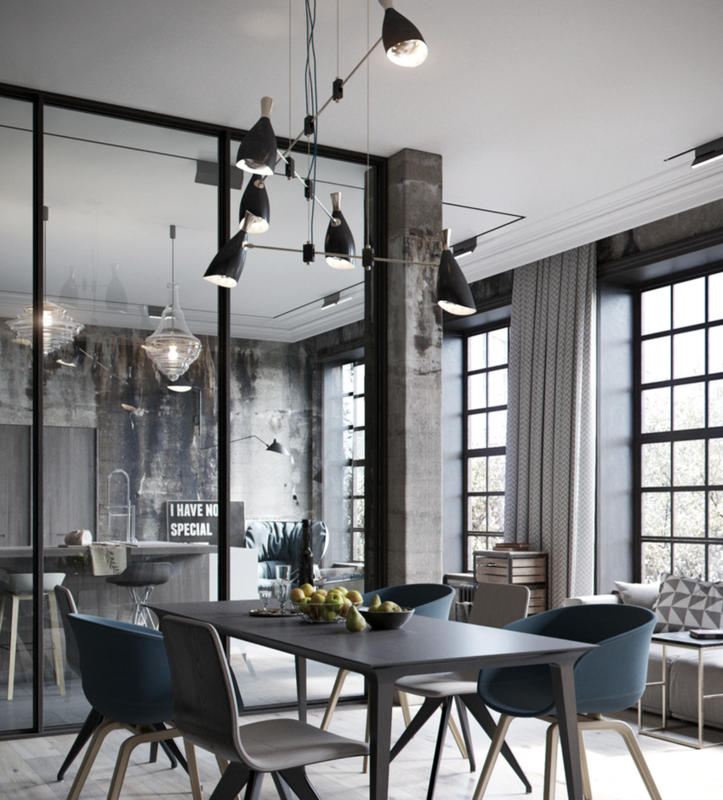 Your industrial style dining room should be no different in its approach to contrasting raw surfaces.